Why Is Trucking Insurance Important? ← How Can Good Insurance Save You Money? 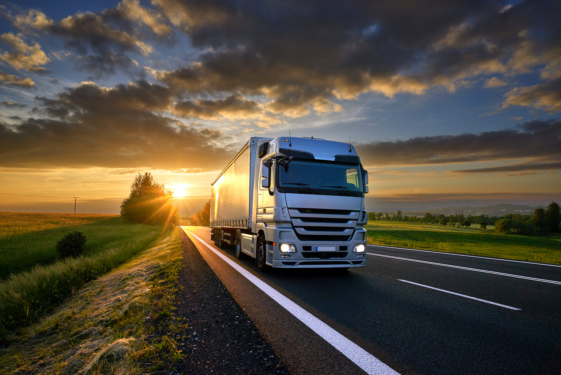 The trucking industry is currently one of the most important aspects of the world market, as it serves as the primary transportation mode for businesses. From transporting goods from one place to another to distributing products from wholesalers to individual retailers, we cannot deny the vital contribution of the trucking industry, especially in our rapidly growing and developing market. If you are in the trucking industry, you would know the many potential risks and threats that will keep your business from running smoothly. Likewise, you would also know the importance of getting local trucking insurance. Although trucks use the same public roads and highways as those used by other vehicles, it differs from them in many aspects. One very obvious difference is a truck’s massive size as compared to other vehicles. This makes maneuvering and navigating through traffic difficult, and may even pose the risk of harming not just the driver, but other vehicle users on the road as well. Collisions are the most common incident when it comes to trucks—or any vehicle at that—however it can be the most devastating and costly. Trucking insurance enables you to cover the cost of the vehicle involved in the accident in which you were at fault, as well as the cost for the damage on your truck. A comprehensive truck physical damage insurance will cover the costly repairs needed by your truck in any case of an accident or mishap which does not involve a collision. Truck repairs can be very expensive, as there are specialized parts needed, and the extent of damage can usually take a long time to repair. This is why having insurance that can cover most or all of the cost of these repairs will be very helpful. Other types of trucking insurance come with benefits that are not directly related to the vehicle itself, but rather, provide coverage for the operators handling the truck, and the goods and cargo the truck is carrying. This is very important, for if you own and manage a trucking business, you are well aware of the liabilities that will be on your shoulder—that includes the cargo you are transporting, and of course, the lives of the people operating your trucks. Rapid Document Insurance Agency is a truck insurance agency in Downey CA that specializes in providing reliable trucking and trailer insurance for all types of businesses. We assure only quality, reasonably-priced coverage that will give you the peace of mind you need. This entry was posted in Insurance Agency and tagged Insurance Services, Trucking Business, Trucking Insurance. Bookmark the permalink.